"Father, Son... 5 days, 90 miles" Mark speaks to Dad F.C. - Dad F.C. “Father, Son… 5 days, 90 miles” Mark speaks to Dad F.C. After 17 years of being Alex’s dad, Mark Richards wanted some father/son bonding time before his son went off to university and things were never the same again. Mark and Alex set off on an epic 90 mile journey across Britain’s toughest terrain; quite a feat for a man who describes himself as ‘not a walker’. 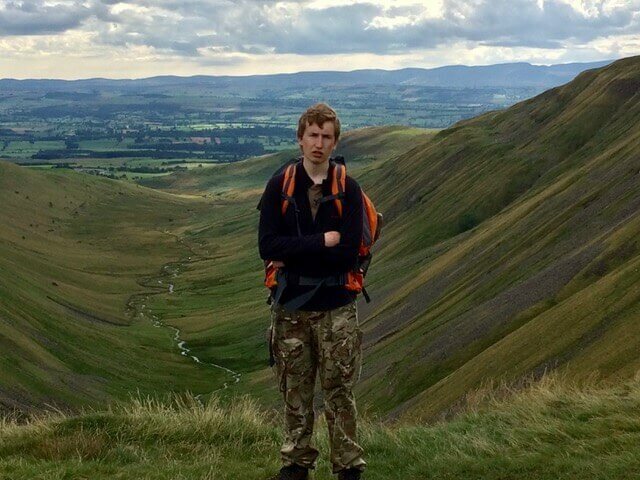 Mark, author of Father, Son and the Pennine Way shares his story with Dad F.C. Walking the Pennine Way must have been gruelling, but writing a book is no mean feat. Talk us through the journey from the first idea to publishing your book. I’m not entirely sure where the idea for the walk came from. I’d had this growing sense for a while that I wanted a physical challenge before I was too old for a physical challenge – and I wanted to spend time with Alex before he went away to university and/or the first serious girlfriend appeared on the scene. One Sunday afternoon at the end of February I just asked him – “do you want to come for a walk with me?” He shrugged, said, “Sure, why not?” and that was that. We set off from Malham – just north of Skipton – five months later (during which time I lost two stone doing the training) and spent 5 days walking 90 miles, finishing at Dufton, just outside Carlisle. I then settled down to write the book. They do say that writing a book is the closest a man every gets to giving birth and I was in the maternity ward for a lot longer than I’d planned – for which I largely blame Theresa May. The election – and the ensuing chaos – caused a lot of extra work in the ‘day job’, but the book’s now published. The e-book is available on Amazon and the paperback will be along shortly. 5 days solid with your son – did you ever get on each other’s nerves? What was the funniest thing that happened to both of you on your journey? If you ask Alex he’ll probably say his dad’s attempts to read an OS map… Out and out slapstick though? The moment I fell in a bog and had to walk a mile in my underpants to dry out. Best sitcom moment? Breakfast at the highest pub in the country when a guy straight off the cover of GQ asked for two perfectly poached eggs and the landlady gave him a fairly blunt, Yorkshire response. Drying out his trousers after falling into a bog. Has Mark mastered being an embarrassing dad? Did you learn anything about your son that surprised you? What the walk did was confirm a lot of the things I knew about Alex. I knew he was tough, I knew he was resilient – I just didn’t know how tough and resilient he was. 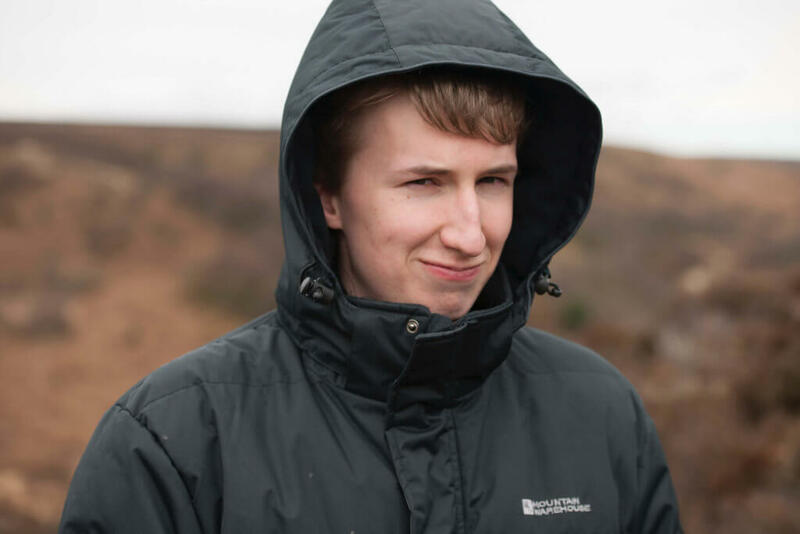 It’s fair to say that I wouldn’t have got through one of the days – when we walked 17 miles through rain, fog, low cloud and (even in August) hail – without him. It also confirmed how valuable things like the Duke of Edinburgh Award are. You send your children to school and you’re invited to tick a series of boxes – music lessons, singing, drama, whatever they might be. One of those boxes could well be the DofE, and if Alex got me through Wednesday the DofE played a big part in helping him do that. The majority of Dad F.C. fans have babies and young kids. With your son having flown the nest, have you any pearls of wisdom now that you have time to look back? And secondly, do what I did. Those five days with Alex were some of the best days of my life. They gave me memories that will last a lifetime and created an unbreakable bond between us. Even if your son or daughter is only two, put a date in your diary for Summer 2032: I can’t recommend what we did highly enough and if the book acts as an inspiration for other dads to follow in my footsteps I’d be delighted. What next? In terms of family life? Do you plan to write again? 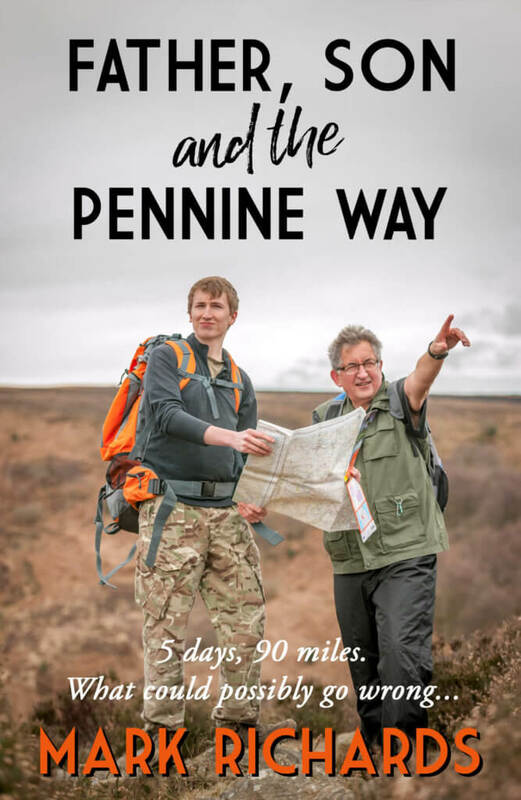 Mark Richard’s book: Father, Son and the Pennine Way: 5 days, 90 miles. What could possibly go wrong? is available now on Amazon. Support Dad F.C and give this a share!